The company has been established now for 5 years with the owner, Dominic Susi, having over 18 years experience in the HVAC trade. Dominic personally walks customers through the process of deciding which equipment fits their budgets and needs at time of replacement. He also is present at the beginning and end of all retro fit and new construction jobs. 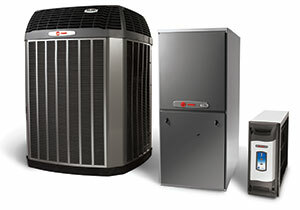 Our installers and service technicians are well experienced and take pride in their work. NW Ventilation believes in establishing trust with our customers through good communication, quality service and installation. NW Ventilation provides high quality HVAC products and services to the greater Vancouver, WA area including Vancouver, Camas, Washougal, Battle Ground, La Center, Ridgefield, Brush Prairie, Salmon Creek, Hazel Dell, Orchards, Hockinson, and other surrounding areas. In addition, we provide services in the greater Portland, OR area including Portland, Beaverton, Hillsboro, Lake Oswego, West Linn, Tigard, Gresham, Troutdale, Wilsonville, Tualatin, and other surrounding areas. We pride ourselves on outstanding service and provide excellent value to our customers. We strive to earn your repeat business and referrals by going out of our way to make your entire experience with us as positive as possible.